"The Distal Treatment of Scar Tissue Using Japanese Acupuncture"
Andy Harrop is a British Acupuncture Council registered practitioner and one of the foremost practitioners of this style of Japanese acupuncture. He began his career in complementary medicine in London, in 1984, before moving to Japan and America for four years to pursue his studies. He started studying with Japanese acupuncture Master Kiiko Matsumoto in 1991 and in 1995 completed his clinical apprenticeship. He returns annually to her clinic for further tuition and for 17 years he has organised her annual London seminar. He studied both TCM and Five Element Acupuncture at the College of Integrated Chinese Medicine, graduating in 1997. He has also studied extensively with Chinese Medicine scholar Elisabeth Rochat de la Vallée. Andy is an experienced teacher and runs his own seminars programme. 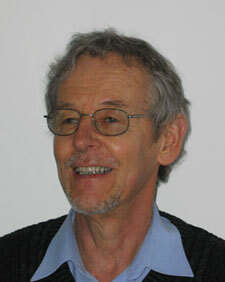 He has taught at several UK acupuncture colleges as well as internationally. For six years he lectured to nursing groups at Kings College London and worked for 18 months using Japanese acupuncture in two National Health G.P. surgeries. Andy maintains his private practice in Dulwich, London. Jon graduated in 1999 from Keele University achieving a first class BSc in physiotherapy and began his acupuncture training in 2000. In 2003 he became an advanced member of the AACP and in 2004 he was awarded his post-graduate MSc in acupuncture from Coventry University. Since graduating he has worked in a variety of roles within the NHS, private sector and professional sport. Jon is a Fellow of the Higher Education Academy, an accredited AACP tutor and a member of the board of Directors of the AACP. He delivers foundation courses and CPD within the private sector and NHS and has also had his work published in the Journal of Chinese Medicine. He has previously been an MSc award leader at Staffordshire University, is the external assessor for Glyndwr University's acupuncture BSc and also acts as consultant and sessional lecturer to a number of Universities throughout the UK and Keele University School of Medicine. 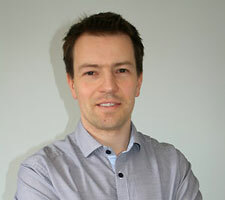 He is also a consultant to physiotherapists in Team GB, the FA and Premiership Football Clubs. He now splits his time between delivering acupuncture training and the clinical practice of physiotherapy and acupuncture. "The Auriculotherapy Treatment of Musculoskeletal Pain and the Importance of Patient Specific Treatment"
Jim Chalmers has over 24 years clinical experience in Traditional Chinese Medicine (TCM), having studied and practiced in hospitals in China and run private practices in Singapore, Australia and Scotland. Jim Chalmers now practices from South West Scotland; at the Crossmichael Complementary Therapy Centre just outside of Castle Douglas, Dumfries and Galloway. Acupuncture is a form of Traditional Chinese Medicine that has been practiced in China and other countries for over 3000 years. Though Traditional, there is now considerable scientific evidence of its effectiveness and is now used by doctors and in hospitals around the world to treat a wide range of medical conditions. Jim's treatments utilize Traditional Chinese Medicine techniques such as Acupuncture, cupping, gua sha (scraping therapy) and moxibustion, the prescription of prepared Chinese Herbal Medicine Formulae in pill or powder from as well as the relatively more modern highly effective system of Ear Acupuncture (Auricular Therapy and Auricular Medicine) as developed over the past 50 years by the renowned French physician, Dr Paul Nogier. Advice on diet, nutrition and lifestyle form an important part of treatment protocol. For the needle phobic and for the very young Jim applies safe, low level infra red laser treatment. Caroline McGuire graduated from Glasgow Caledonian University in 1993. 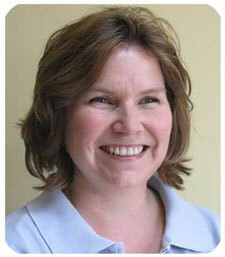 She has specialist experience in neurological rehabilitation including Parkinson's and Multiple Sclerosis. Caroline also has an MSc in Acupuncture from Coventry University. Having used this treatment for over 20 years, she now teaches acupuncture to other physiotherapists. She has found this to be of great benefit for many conditions with a special interest in using this to treat people with MS, and has several papers published on this. "Principle of Acupuncture Management on Cervico Genic Headache inclusive of Migraine Management"
With a career starting in 1967, George is an Approved Acupuncture Tutor and was admitted as a Fellow of the AACP on 2014. He developed his interest in the management of MSK and was the Course Tutor for the part time Post-Registration Combined Manipulation Course in the Sheffield Polytechnic (presently, the Sheffield Hallam University). 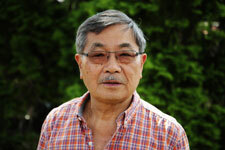 In 1982, he completed the 2-year part time study in TCM on acupuncture with the British College of Acupuncture. His passion for acupuncture gave help to the inception of the AACP in 1984 and is one of the pioneer Tutors that started the 2 week-end acupuncture course developing into the present 6-day curriculum. 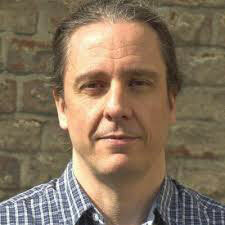 He believes that Acupuncture is an art supported by the Physiotherapists' scientific background.